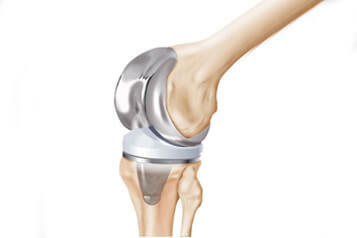 Total Knee Replacement Surgery is a planned surgery and can be posted as per the wishes of the patients. This is not an emergency surgery. Based on patient condition the doctor suggests for Knee Replacement Surgery but the decision, when to undergo the same lies with the patient. If a patient is diabetic or hypertensive, then a general physician is involved to manage the same before posting the patient for surgery. Who are advised Knee Replacement Surgery? Even this procedure is normally recommended for patients who are aged 60 years or above and suffering from severe pain and limited or total loss of Knee functionality because of arthritis where other methods of treatments have failed. In a Knee Replacement Surgery, the damaged or diseased Knee is replaced with artificial metal or plastic parts. In this procedure, the end part of the thigh bone (femur) and shin bone (tibia) are replaced with plastic that is inserted between. The Total Surgery time is about 2hrs but the actual surgery lasts less than an hour only. Post operatively the patient is observed in SICU for 24 hours. The total hospital stay at Hyderabad MultiSpeciality Hospital for a Knee Replacement Surgery is approximately 3 days. This includes day of operation and three days in the ward. What are the responsibilities posts Knee Replacement Surgery? It takes about one month before total recovery of the patient and rehabilitation. Post total Knee Replacement, the person is expected to do regular exercise as advised by the physiotherapist. The success of the surgery / implant life depends upon the proper utilization of the replaced Knee joint. After the surgery for few days, individuals are suggested to walk with the help of crutches, parallel bars, a walker, or a cane for a while to get up. Further, with the passing time, one can stand on their feet and witness a big improvement in flexibility & less pain within a duration of a month. However, it is important to exercise the knee often, in order to keep down inflammation& to fortifythe muscles. Severe pain & stiffness that makes it hard for to climb stairs, walk, or even to get out of a chair. Nagging knee pain troubles you when resting, possibly keeping you away from sleeping well. Knee deformity i.e. bowed knee and other defects. Failure to noticeable improvement with other treatments such as medications, physical therapy and other injections.